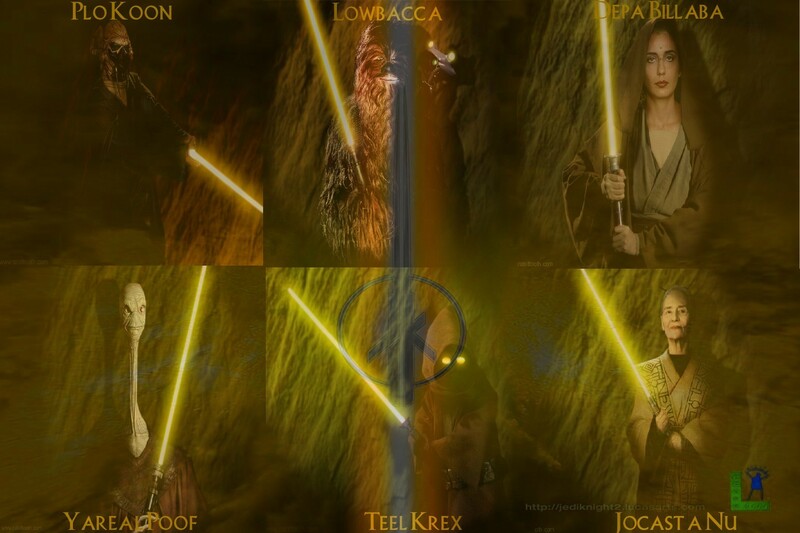 Jedi Knights & Masters. . HD Wallpaper and background images in the سٹار, ستارہ Wars club tagged: star wars icon movies movie jedi knights jedi masters jedi outcast creations. This سٹار, ستارہ Wars fan art contains فاؤنٹین and چشمہ.